I'd like to compare my thoughts on the differences between the floods in Pakistan and the floods and earthquake in Haiti. My heart goes out to those that are currently suffering in Pakistan as a result of the recent flooding; the same as my heart goes out to those who continue to suffer from the earthquake here in Haiti. What first got me thinking was a news report where a Pakistani peasant was interviewed. They said, "We have lost everything". In 2004, there was a major flood in Haiti. There was a tremendous loss of life and property in the Gonaives area which is the capital of our department (state), and only a few hours away from where I live. At that time, I had no friends really that I knew in Gonaives. Gonaives was considered the "scary/dangerous" city that you have to go through on the way to the North of Haiti. At that time Gonaives was known for their violence and trouble makers. Just a few months earlier, there as a coup d'état (government overthrow) started by the rebels in Gonaives. I wonder if this flood was not allowed/sent as punishment by God, or as a cleansing of the violence in the city. Since this flood, Gonaives has no longer been the "hot-spot" that it was previously! 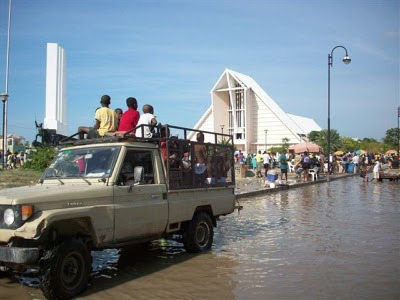 After this flood, I developed good friends in the cleanup effort, and have ministered regularly in Gonaives since then. In 2008, there was another major flood, triggered by a series of three hurricanes. Again, Gonaives was hit hardest. This flood was a huge blow to the country. We were completely cut-off from the rest of Haiti by bridges that were washed out or damaged at Montrouis, Mirebalais, and Ennery. This made relief efforts much more difficult. I was able to make several trips to Gonaives, even in the middle of the hurricanes, to assess the situation and provide a little bit of assistance. I even got to be a part of a rescue mission for missionaries and an orphanage, driving through deep water to get supplies to them, and later to extract them. Although the loss of life was less than the previous catastrophe just four years earlier, the damage was far worse. I have personal friends who told how God spared their lives though they lost all of their earthly possessions. Jesus Christ has been their hope and strength to put their lives back together! 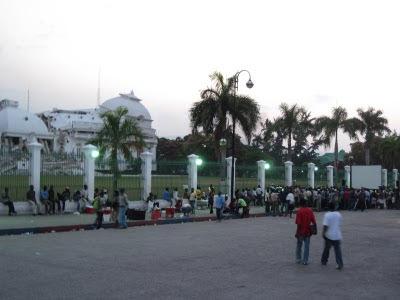 On January 12, 2010, at nearly 5PM, there was a major earthquake that rocked the Port-au-Prince area. The loss of life and damage was enormous! Even through the news did a fair job of reporting the situation they could not convey the actual situation. Images were shown of damaged or destroyed buildings, and smashed cars, and people living under tents made out of bed sheets. They could not convey the smell of rotting human flesh, telling of the lives that were lost under the collapsed buildings. Even during this crisis, the people of Haiti have pulled together and drawn closer to Christ! A national fast was called in place of the sinful festivities of the Kanaval holiday. Evenings were filled with singing of praise and prayers to God. On the six-month anniversary after the quake, news reporters again reported how bad the situation was and how little cleanup work was done, and how bad things were here. One report clearly told the story of the Haitians hope being grounded in their God. Jesus Christ has been their hope and strength to put their lives back together! Although all Haitians lost family or friends in the earthquake, and many have lost all of their earthly possessions, they have not lost everything! They still have their faith in Christ which continues to daily carry them through the situation and into the unknown future. Please continue to pray for Haiti to put their faith more and more in Christ as their Savior! Please join me in prayer for the people of Pakistan, that the flood will allow them to meet this same Christ that has been the hope of Haiti in recent times of crisis. Although many in Pakistan have lost all of their earthly possessions, pray that they would be able to say they still have Jesus! May God bless you for your willingness to be giving the people of Haiti hope! You remain in our thoughts and prayers! 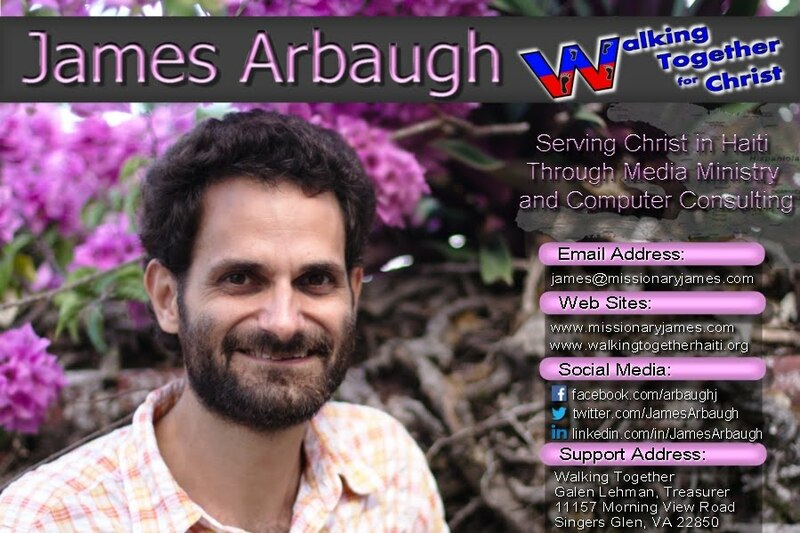 You give the rest of us hope, too... and better ways to pray. Thanks for the new perspective on these disasters. May God continue to bless you and the people most affected by them.